Celebrate 18 years of clean energy communities with Spark Northwest! 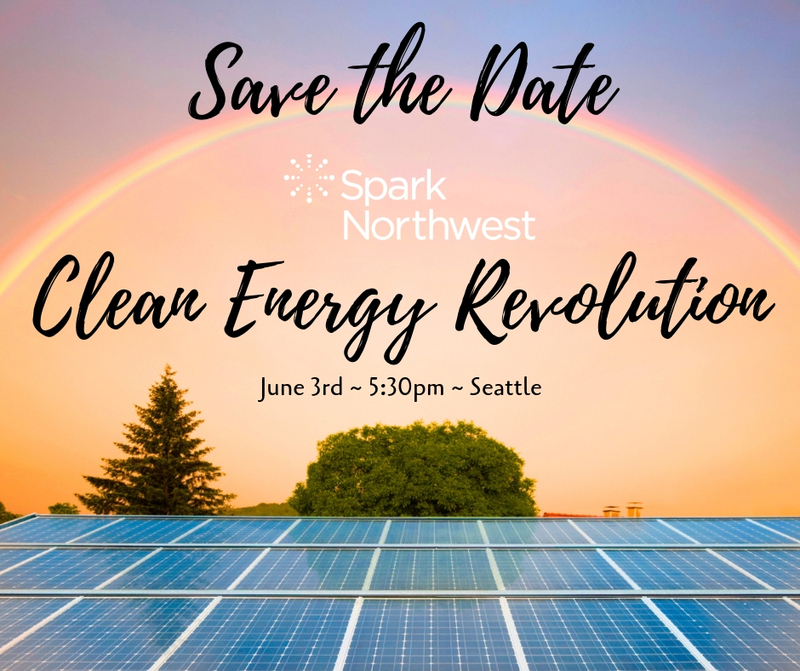 Please join us for Spark Northwest’s Clean Energy Revolution on June 3rd, 2019! This fun-filled fundraiser and cocktail reception is a great chance to join Spark Northwest partners, program participants, and friends in support of our work building clean energy communities. We will also be honoring outgoing Spark Northwest Executive Director Jennifer Grove for her 16 years growing our organization. Enjoy delicious hor d’oeuvres courtesy of Tom Douglas Seattle Kitchen at the chic Palace Ballroom in Seattle’s Belltown neighborhood.